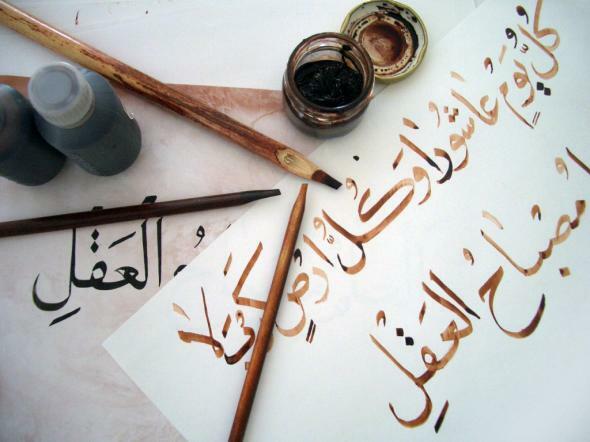 Is Arabic Really Just One Language? The source, or rather sources, of diglossia in the Arab world are both manifold and contentious. In part, regional differences come about from contact between Arabic speakers and non-Arabic speakers. Moroccan Arabic, for example, borrows from Berber, while Levantine dialects (spoken in Syria, Lebanon, Palestine, Israel, and Jordan) have Aramaic elements in them. The dialects of the Persian Gulf area show the influence of Persian and Hindi, both of which were the languages of important trading partners for the region’s merchants. Finally, the languages of imperial or colonial administration left their imprint on virtually all dialects of the Arab World, albeit in different measures. It is for this reason that native speakers may choose from a variety of words, some foreign and others Arabic, in order to describe the same concept. Thus a Moroccan might use henna (from Berber) or jidda for grandmother; a Kuwaiti might buy meywa (from Farsi) or fawaakih when he has a craving for fruit; and a Lebanese worker might say she is going to the karhane (from Ottoman Turkish) or masna` when heading off to the factory. A version of this post appeared on the OxfordWords blog. Oxford Dictionaries | Arabic is a groundbreaking new online dictionary of Modern Standard Arabic and English based on modern usage.